This author Elizabeth Hall has created 4 entries. 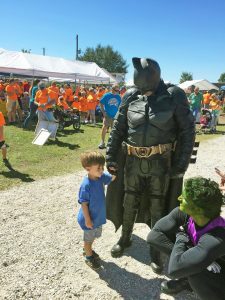 On October 22nd the Sarasota Squad members of Guardians of Justice had the opportunity to attend the Manasota BUDS walk at Hunsaders Farm for the first time. 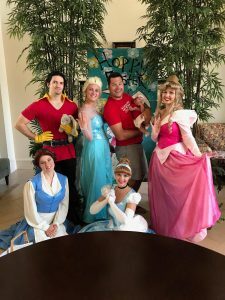 Our organization was happy to being a relationship with this group as we have spent two years participating in events with the Down Syndrome Association of Central Florida. The Manasota BUDS (Bringing Up Down Syndrome) organization, provides families with a neutral supportive forum for sharing and networking, and to promote understanding and acceptance of Down Syndrome. They host an annual walk to bring the community together and raise money for programs and services for the individuals/families that have Down Syndrome. 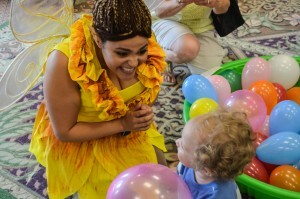 Great Fun Had at Nathaniel’s Hope Make ‘m Smile! 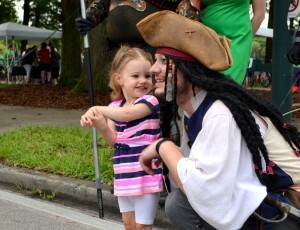 On Saturday June 6, 2015 in Downtown Orlando at Lake Eola Park, Nathaniel’s Hope hosted an annual community festival celebrating kids with special needs. The Nathaniel’s Hope mission is to share hope with kids with special needs (VIP kids) and their families. This event was the 13th Annual Make ‘m Smile festival with over 40,000 in attendance! The Guardians of Justice were there to help Empower, Inspire, Motivate, and most importantly support the children.